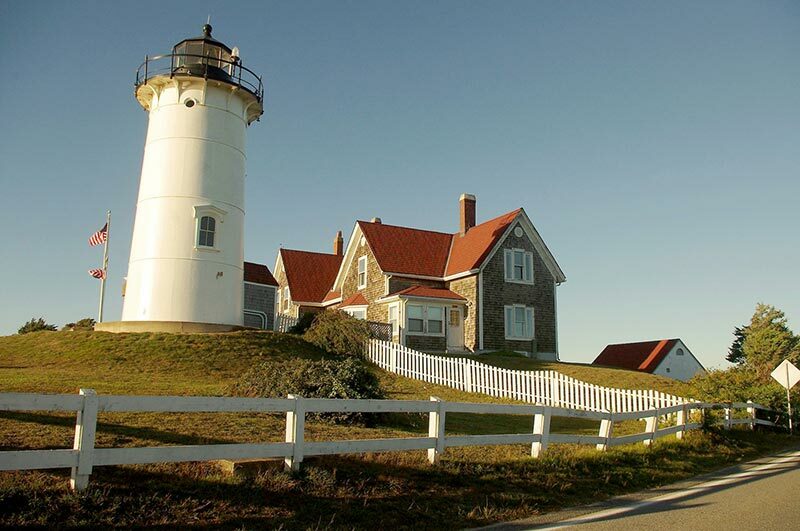 One of New England’s most picturesque lighthouses is now in the care of its home community. Under a licensing agreement, in a signing ceremony Monday the Coast Guard turned over the care and custody of historic Nobska Point Light to the town of Falmouth, which will preserve it under a newly formed nonprofit, the Friends of Nobska Light. A lighthouse has stood on Nobska Point since 1829, and the current tower was built in 1876, according to a press release. In that time, the United States Coast Guard, and before it the Lighthouse Service, has operated Nobska Light continuously as an aid to navigation, marking a key waypoint in coastal maritime traffic and warning ships off shoals in Vineyard Sound. The lighthouse is noted for its beauty and for its fourth-order Fresnel lens, manufactured in 1888. The Coast Guard licenses Nobska Light, a familiar sight for Vineyarders traveling between Woods Hole and the Island. In 2014 the Coast Guard discontinued the use of the Nobska Light Station keeper’s house as USCG family housing. The Coast Guard issued a public notice that it would license out the Light Station to a qualified entity to continue the maintenance and take on the historic restoration of this site. To find out more about Friends of Nobska Light, go to friendsofnobska.org.